Equal parts literary detective story and vivid travelogue, The Shakespeare Guide to Italy chronicles author Richard Paul Roe’s thirty-year quest to find the locations in which Shakespeare set his ten Italian plays—delivering a text which will forever change our understanding of how to read the Bard of Avon and irrevocably alter our vision of who William Shakespeare really was. More than 150 full-color images illustrate and enhance Roe’s captivating narrative, illuminating his lifelong journey and shining a light into the depths of Shakespeare’s experiences in Italy. Until now, Shakespeare’s use of Italian backdrops—Romeo and Juliet’s Verona, Othello’s Venice, Much Ado About Nothing’s Messina, to name a few—has been the source of controversy and conjecture. 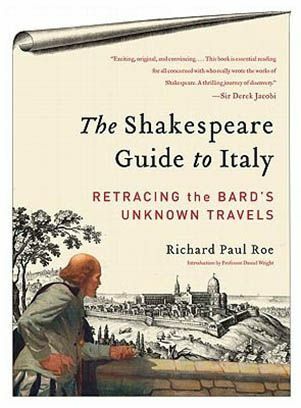 With The Shakespeare Guide to Italy, Roe’s meticulous study reveals the secrets that have eluded scholars for centuries.